You know how when you're playing with a friend in the sandbox and they ask you to share your toys and you don't want to and so they're all, "Sharing is nice, be nice!" and you're all, "SCREW THAT I'M OUTTA THIS SHITBOX WHERE'S MY SNACK PACK I WANT MY MOMMY!" and you march off, snot-nosed and clutching your beloved possessions tightly to your chest? Oh yeah, and the next day, nobody wants to play with you and you're sad and you tell your parents that you hate your friends and they ruined all your fun? Yeah, I remember being five years old, too. It was tough. Well, some people never grow up. 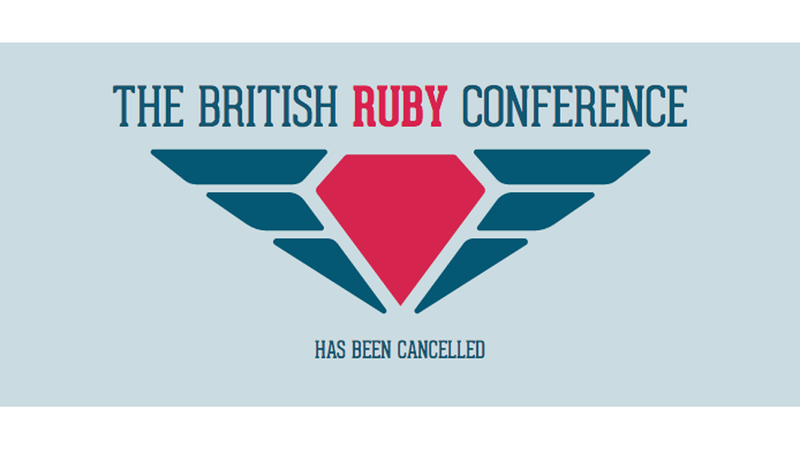 Case in point: the organizers of the Brit Ruby 2013 conference for Ruby programmers, who cancelled due to supposed lack of sponsorship and an even greater lack of imagination. The conference, scheduled for next March in Manchester, started to receive some Twitter buzz that its all-white, all-male speaker lineup was, well, extremely white and male. It was pointed out on Twitter that the lineup so far is white males. This became frenzied and shared with allegations of racism/sexism. This put the sponsors in an awkward position regarding commitment to the conference. This meant the venue contract couldn't be signed because of a potential lack of financial security. Since the team can't be personally liable for the costs, there was a hard decision to be made. Note: Ruby was created in the 90s by Yukihiro "Matz" Matsumoto in Japan. The organizers are taking their balls and going home, OK?? Sean Handley challenges conference detractors, "Investigate before you judge." But it appears he didn't investigate any of the proposals for creating diversity at Brit Ruby, nor does he seem to have even worked out that his Twitter critic, Josh Susser, is an experienced Ruby conference organizer. In fact, that's the best part about this whole thing. The man who started the conversation, Josh Susser, is, well, a man. A white man who is thoughtful about his privilege and seems to actively be working to create a slightly-more-even playing field. I'm Avdi, and I was an invited speaker to Brit Ruby. That "white dude in San Francisco" organized the most inclusive and gender-diverse conference I have ever been privileged to attend (GoGaRuCo 2012) . And he did it without compromising the quality of the talks one bit - in fact, the talk selection process was completely blind. He and his co-organizers did it by, among other things, making a point of reaching out to RailsBridge, DevChix etc. when publicizing the CFP. The result was a two-day slate of speakers, 25% of them women, that frankly blew me away with its consistent quality, as well as with the fresh perspectives it brought. To everyone complaining about the audacity of someone taking a moment to point out a monoculture on Twitter... Josh Susser has put his money where his mouth is. Have you? Word. Until there's more representation of successful programmers who aren't white and male, there's gonna have to be more outreach, more effort, more leg work. It's imperative to get more women and people of color in the spotlight because that inclusion will breed accessibility. And that's a really good thing for everyone, especially the advancement of creative, exciting technology. And Advi's not the only commenter who takes issue with Sean's post. The organizers were called out for what they were — a bunch of butthurt crybabies — by almost half of the commenters, many of whom identify as male. Shout out: the boys got our backs! Are there still plenty of programmers out there who think that white men are the only people who can code? Yes, there are. Just like there are plenty of people out there who think that a black man shouldn't be president. But things are changing, and it's exciting that there are so many vocal feminist men who are eloquent, polite, community-minded — and quite a few of them are providing ideas for solutions. My two cents: Publicly inviting your speakers, regardless of demographics, shows what you tried to build. No one is going to blame you for inviting a diverse set of speakers and having only one demographic showing up. ...as stated on Twitter, happy to be the person that helps make that happen: speaker assistance, promotion, engagement, and sponsors. ...I think this could have been a positive outcome, but I am not sure why you felt compelled to cancel. Is this the end of an era? Or, at least, the beginning of the end? I used to work at a tech behemoth and I heard about the grumblings from both male and female engineers about the gender gap. Terrifyingly, many believed it was because white men are inherently better at programming — not only is that wrong, it's a dangerous myth to circulate because it closes doors and takes away possibility. In light of that experience, reading these comments is heartening. It's encouraging to see so many people, many of them men, stand up and speak out for necessary and important diversity. piersadrian ...encourage more diversity amongst skilled Rubyists and try again next year.